The Nintendo Switch Pro controller can last about 40 hours on a single charge according to the controller’s boxing. 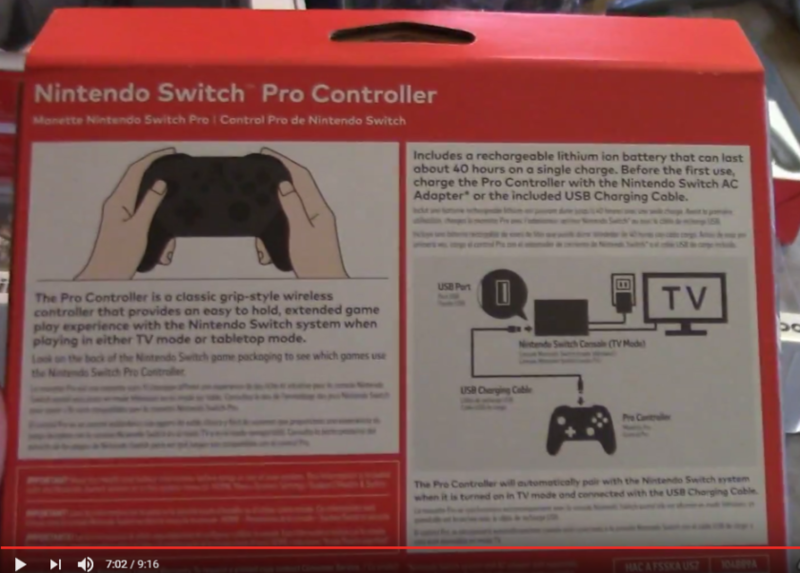 The Switch’s Pro controller includes a rechargeable lithium ion battery that can be charged with an included USB charging cable or the Nintendo Switch AC Adapter. 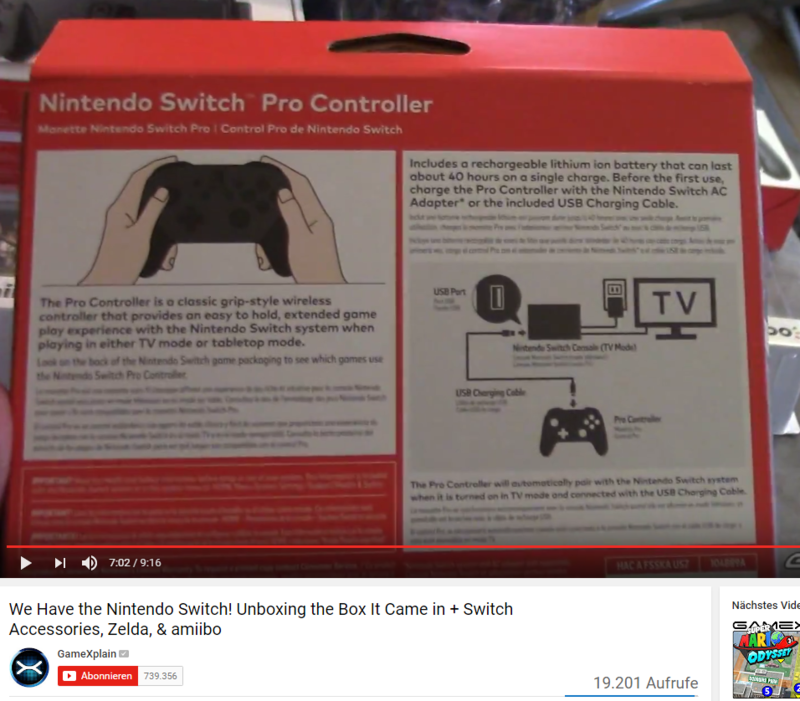 An interesting tidbit is that the Pro controller will automatically pair with the Switch system when connected in TV mode and connected via the USB charging cable. 40 hours is quite decent when compared to the battery life of Sony’s DualShock 4 controller (around 7-8 hours) and Microsoft’s Xbox One controller (20+ hours). In contrast, the Wii U Pro controller can last up to 80 hours. 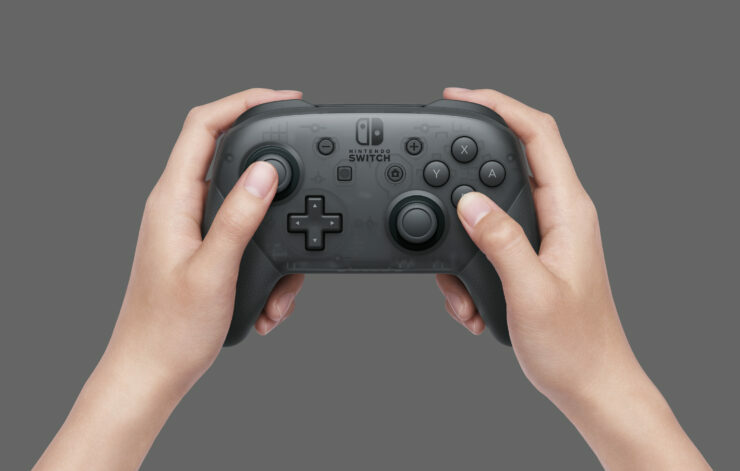 The Nintendo Switch Pro controller is an optional controller for those who don’t want to use the standard Switch Joy-Con controller. The controller features motion controls, HD rumble, built-in amiibo functionality, and more. The Nintendo Switch was officially unveiled back in October of last year. Nintendo will release the Nintendo Switch globally next month on March 3.